The players of Rajasthan Royals and Royal Challengers Bangalore are here at the Sawai Mansingh Stadium, Jaipur for the 14th match of the IPL 2019. Ajinkya Rahane and Virat Kohli are already here for the toss and the news from the Sawai Mansingh Stadium is that RR has …. The toss and has elected to …. Both teams have played three games is in the 12th season of the IPL but have not won a single game. The home team in their last game lost merely by 8 runs against Chennai Super Kings in Chennai. 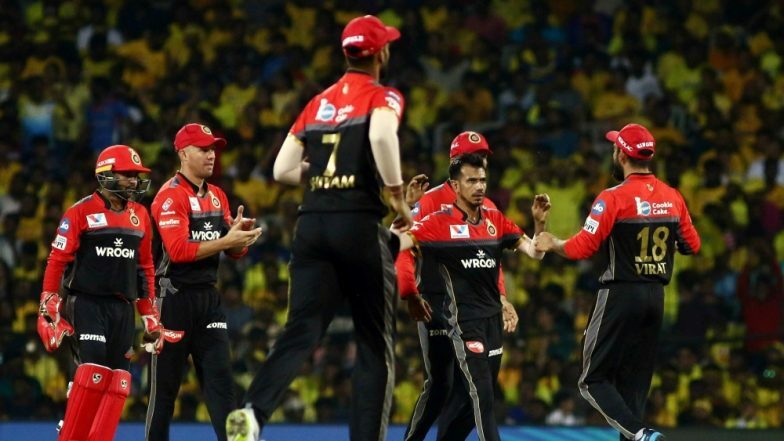 IPL 2019 Points Table Updated: KXIP Climbs on Number Two, DC Slips to Fifth Spot on the Indian Premier League 12 Team Standings. Whereas, RCB was defeated brutally by the Orange Army in Hyderabad. It was David Warner and Jonny Bairstow who scored centuries and took the team to a mammoth total of 231 runs. The Royal Challengers Bangalore, on the other hand, got bundled out on the score of 113 runs. Rajasthan Royals vs Royal Challengers Bangalore Live Cricket Score. Rajasthan Royals and Royal Challengers Bangalore share quite a close head-to-head record. Out of the 16 times the teams played against each other, the Rajasthan Royals have won nine games, RCB has won eight and one game has no result produced. Now let’s check out the playing XI of both the teams.